Press release by HRW on Mr. Hoang Minh Chinh. Mom and Son - Hello Mom, still saving Vietnam ? The lawyer is a Garden Grove school board member. What is Democracy? • Qu'est ce que la Démocratie ? Please Pray for the Vietnamese People in Cambodia! 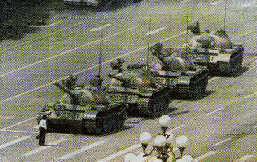 Follows is the schedule for events on Tiananmen in Southern California. Hope we can see you at one or more of these events.